The department said the spike in illnesses among migrants is forcing federal law enforcement to spend less time focused on serious threats because they are facilitating hospital and urgent care trips. It’s also affecting communities that are trying to help with medical emergencies but are severely short-staffed. For example, Hidalgo County, located in the southernmost part of New Mexico, is comprised of fewer than 5,000 residents. The average resident makes $32,000 a year, and the low incomes mean the county has less money to use. Its general budget is just $1.7 million. 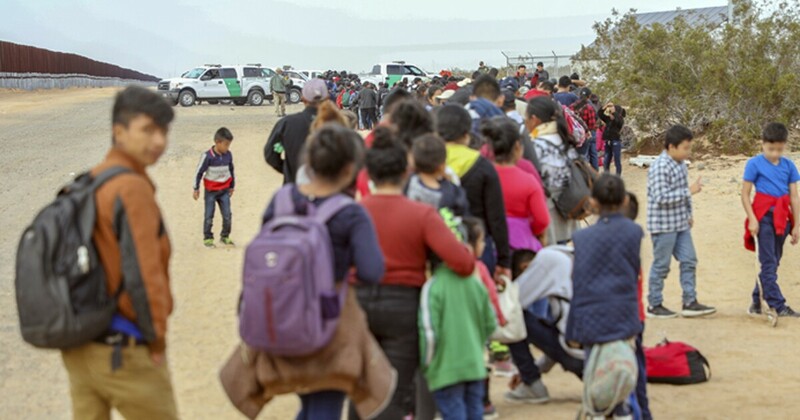 Two county officials who spoke with the Washington Examiner during a recent meeting said they have seen massive groups of migrants, from 100 to 300 people each, getting dropped off in the county. The high number of arrivals wasn’t a problem at first, but by November and early December, it became a problem when many people began showing up sick and in need of professional care. “For a while there, we were being called every day. They [Border Patrol] wanted us to do their screening because they had a lack of medical personnel,” said Hidalgo County Emergency Medical Services Director David Whipple. Whipple only has six other staff members and five volunteers on his team, and they were responsible for responding to medical emergencies across the 5,000-square mile county. Going from the EMS headquarters in Lordsburg to Antelope Wells, then to the nearest hospital, and back to Lordsburg is a six-hour trip, he said. The situation prompted County Manager Tisha Green to reach out to state and border representatives in late December. In response, Border Patrol deployed members of its Border Patrol, Search, Trauma and Rescue to alleviate the stress on the county medical personnel. Since then, Whipple’s calls from Antelope Wells have dramatically decreased, partially because the number of large groups arriving there has also declined since Christmas. The closest Border Patrol station to Antelope Wells is located 95 miles north in Lordsburg, and all migrants who showed up to Antelope Wells had to be transported by border agents to Lordsburg. County officials say scabies outbreaks have plagued that facility, though Border Patrol public affairs officials and Customs and Border Protection did not respond to requests for a tour and comment of either facility. “They’ve had big issues with scabies,” said Whipple, who did not disclose the number of cases at the Lordsburg Station. "That’s an ongoing thing." Scabies is an infestation of the skin by microscopic mites that lay eggs, prompting an acne-like rash and severe itching. It is contagious if a person with scabies makes prolonged skin contact with another person. Another issue is the Border Patrol’s decision to bring migrants into local urgent care facilities, including Hidalgo County Medical Services. “The biggest concern that I’ve heard about is not that they’re disease-ridden, but the fact that they don't vaccinate. I mean, it would become a county epidemic,” Green said. “The comment was made that a good 20 of the immigrants walked in with Border Patrol and all of the local residents that were there waiting for appointments were kind of pushed to the side and several of the people got up and left because they didn't want to be around any type of illness they could be bringing in." Green said the last call she got on this specific problem was in mid-January. Whipple said the best offense is a good defense and that each person taken into custody should be given medical screenings by actual medical personnel. “Certain things coming across — fevers, coughs — they need to be quarantined. We’re not seeing that,” Whipple said.